Printer: A. Sanderson and Sons, Ltd., London. Hand-printed wood block prints in distemper colors on wove paper. These wallpaper samples are a representative selection of the seventy-two wallpaper samples donated to the museum in 1991. This superb collection, with many of the samples bearing the stamp of Morris & Co, accompanies the fine Arts and Crafts collection accumulated by Cranbrook’s founder, George Booth. 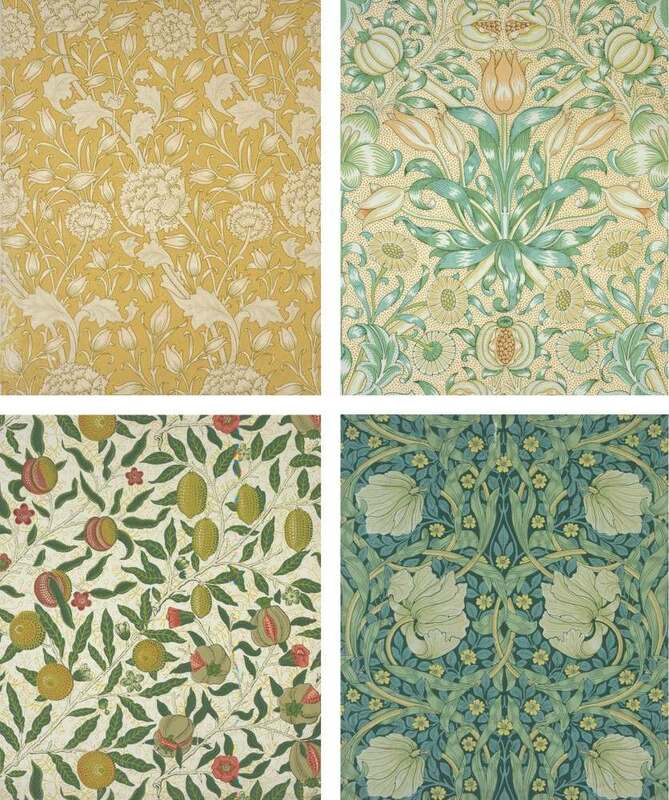 Booth was a firm believer in William Morris’s philosophy that art and design were not only important aspects of a healthy life, but also should be available to everyone. A poet, typographer, political activist, and designer of objects ranging from furniture to stained glass, Morris was undeniably one of the most influential men in design in the last 150 years. By emulating medieval production techniques, Morris successfully redirected late nineteenth- and early twentieth-century design away from nameless, mass-produced wares to objects handcrafted and designed by a named designer. While attempting to change production methods, Morris also strove to alter patterning and decoration trends. As these samples show, Morris favored rhythmic and stylized patterning based on nature. As such, his work contrasted sharply with the heavily decorated Victorian objects common at the time.